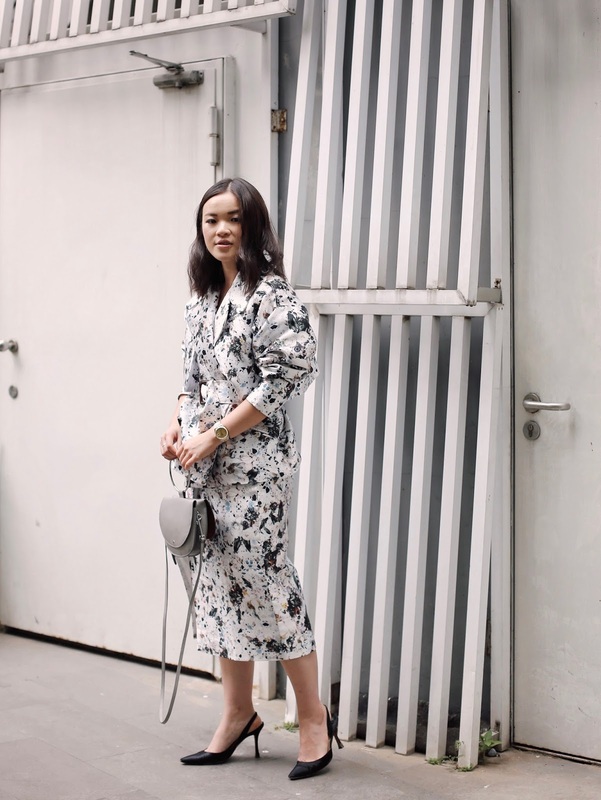 Despite moving from a professional industry to a not-so-formal working environment, there are days that I need to my outfit to take me through different events. On some days, I have to attend investor meetings, management meetings, brand events and finally, dinner dates. There can be last minute meetings with investors, potential clients or to events that I might have mistakenly forget to log into my schedule. As such, my clothes need to cater to a variety of events within a short 24 hours. 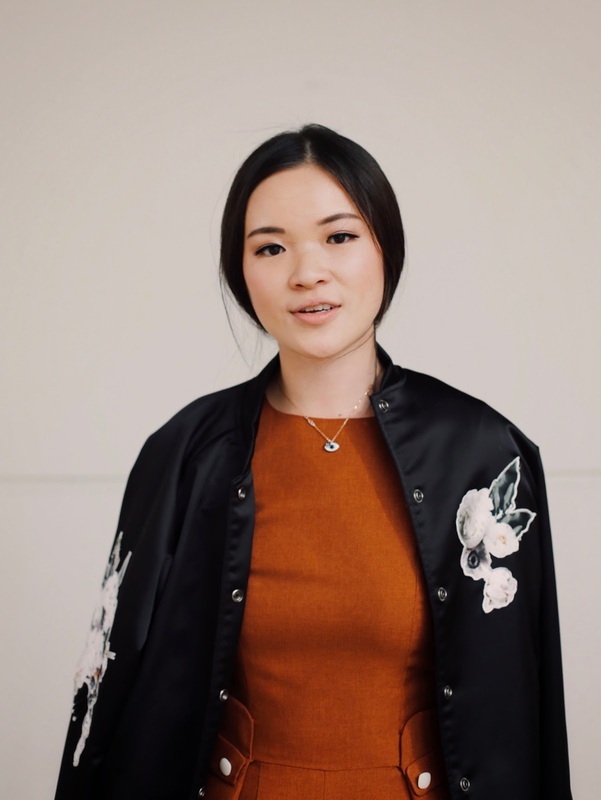 Together with Laison by Aurelia S, I share some insights in taking your outfits from day to night. Read on to also find out how you can stand a chance to win a shopping spree! Established in 2014, Laison by Aurelia is a local fashion label focusing on women ready-to-wear pieces. 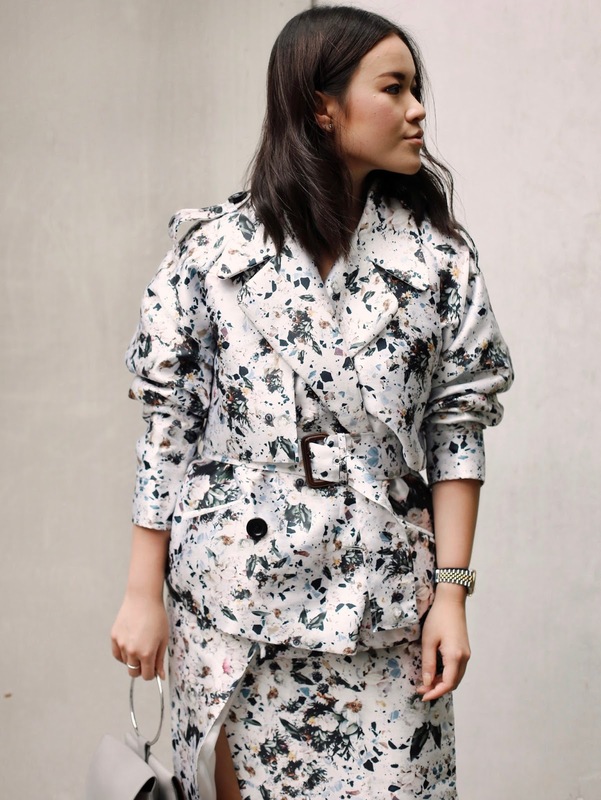 Aurelia Santoso, the designer behind the label, described her vision to inspire and empower women through her clothes. Laison's designs play heavily on distinctive prints and colours throughout their collections, making their pieces identifiable and unique in the local fashion industry. On top of her past experience at Mary Katrantzou London, Aurelia is also inspired by her love for music, art and travel — all apparent in her label. Laison by Aurelia introduces their latest Fall/ Winter 2017 collection — Fragment, a collection dominated by the colours of autumn leaves and Laison's signature prints. The new collection is stocked with versatile, diverse and unique pieces. 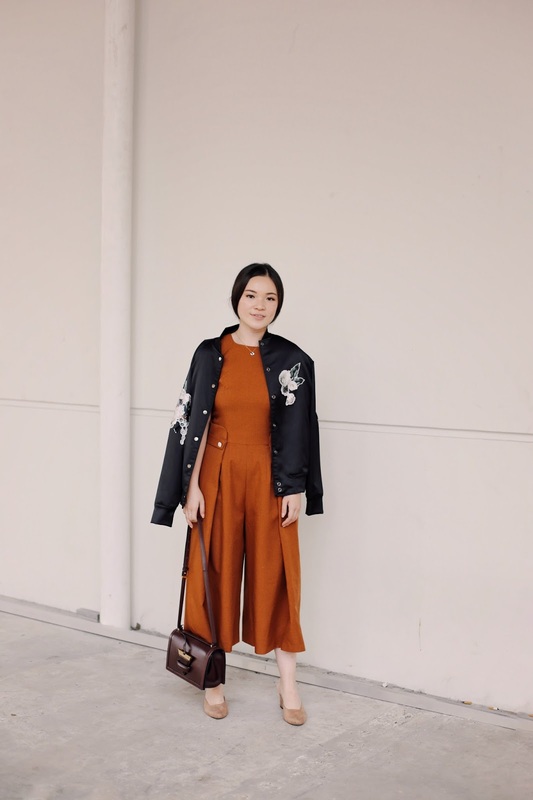 With the help of these Laison pieces, I styled 3 distinctive looks for an everyday woman looking for outfits that can take her from day to night easily. For this first look, it is all about matching unexpected pieces. I love clothes that can be worn for different occasions – be it semi-formal or casual. 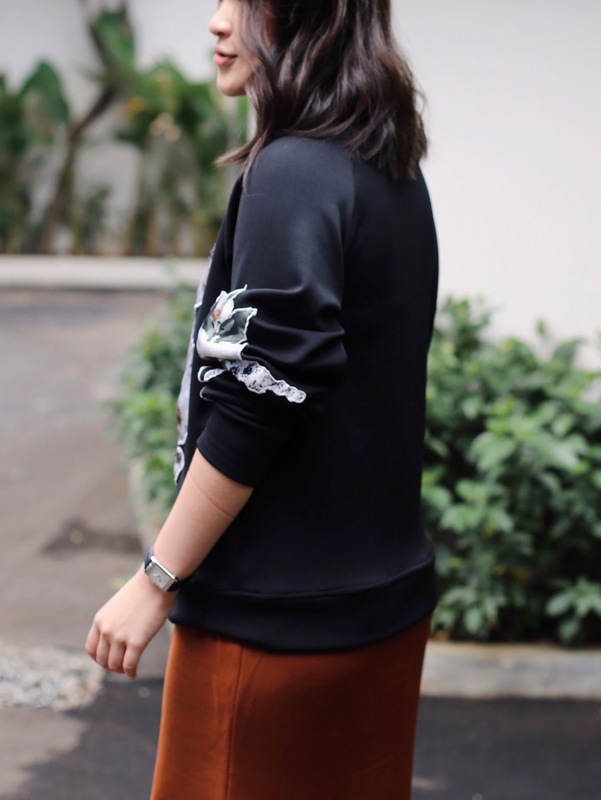 Here, I pair Laison's supposedly tomboy pullover with their latest skirt. Despite it being a more masculine piece, you can always dress it up with heels to achieve a feminine look. This look can also take you through casual days by opting to switch the heels for sneakers. There's something about a matching suit that screams female empowerment. I love clothes that makes you feel confident, powerful yet feminine at the same time. Look 2 is the ultimate look I'll take to my meetings or events. I love this outfit the most because the pieces have been adjusted to the Indonesian weather. 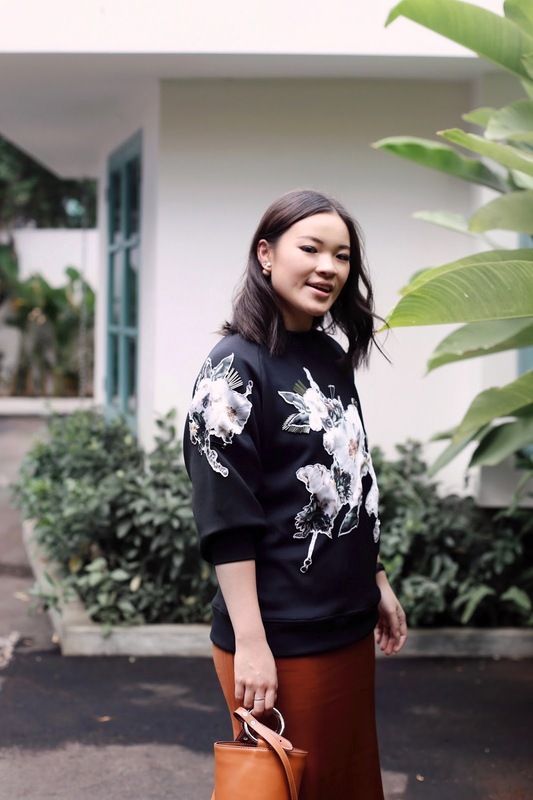 The weather in Indonesia doesn't allow a lot of outerwear options so a jacket in silk is the perfect option. On some days, I'd like my outfit to take me from a morning meeting to a casual dinner date with my boyfriend. The jumpsuit that I'm wearing is a statement piece with its vibrant colour, adding a little fun into what seems to be a mundane day. Jumpsuits are easier pieces to wear but make sure there's something unique about your jumpsuit that helps you stand out. Throw on a boyish bomber in the evening for a less formal take on a working outfit. It's that easy! The giveaway will be run from 14 September 2017 10:00am and will close on 17 September 2017 10:00am. The winner will be announced on 18 September 2017, 09:00am through my Instagram. All the time indicated are in GMT+7 (Jakarta). I hope you spend some time thinking about which pieces you'd definitely love to have in your wardrobe. Good luck my loves! Hei Cath, I'm stunned by all of your pict! Loved the second look, but the jacket is really cute!